Student Members or Ordinary Members in post-doctoral positions or when justified by a specific need when changing field or acquiring new expertise, mid-career or intermediate stage (PI) could also be eligible. Applications will be considered twice per year for activity taking place within the following 6 months. Applications are submitted on-line to the Business Office of the Society,accompanied by a current curriculum vitae, justification for the activity. Supporting documents include a letter of support from supervisors if appropriate, and, if for an exchange visit, the host of the applicant, and details of provisional itinerary and costs. The committee consisting of the chief editor and the secretary/treasurer of ISD and three members for a two year term) will assess the applications based on (a) perceived need – 50%, (b) applicant’s career record – 25% and (c) supervisor / host reference – 25% and present a recommendation to the ISD Executive Board. The award will cover the cost of travel up to USD1500 for conference / workshop / course attendance, with an additional allocation up to USD500 for incidental expenses for an exchange visit. Within a set period (suggestion: 6 months) after the event, the awardee for conference attendance, will provide a copy of the abstract of presentation to be posted on the Society website, or if the award is for an exchange visit, a report of the activity for posting on the ISD website. Awardees who are presenting their work in conference or the host institute of the visit are encouraged to display an ISD logo on their PowerPoint slides, poster and other presentations to acknowledge the support of ISD and to enhance the visibility of the Society. 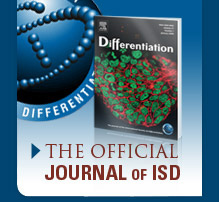 As appropriate, ISD support should be acknowledged in publications.